YOKOHAMA, Japan (Reuters) - Japan's Nissan Motor Co has signed U.S. Open champion Naomi Osaka as its next brand ambassador, the automaker said on Thursday, tapping the tennis star's youth, drive and Japanese roots to appeal to younger customers. The deal further raises the profile of the 20-year-old Osaka, who shot to international fame when she defeated American Serena Williams on Saturday to become the first Japanese player to claim a Grand Slam singles crown. 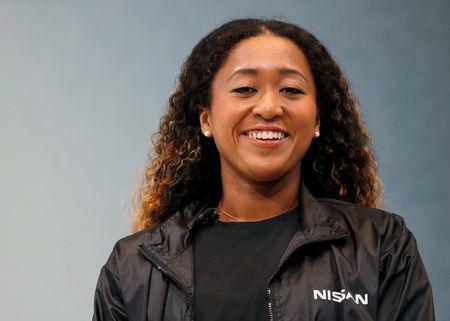 "Growing up, my dad drove a Nissan, so being able to be a brand ambassador now, it feels like I've come full circle," Osaka said, speaking mainly in English at a contract signing event at Nissan's headquarters in Yokohama. Nissan said the passionate videogame player and Beyonce fan would appear in global promotions and advertising in its three-year contract, in something of a branding departure for a firm whose popular GT-R sports car attracts men aged 40 and older. The biracial Osaka, who was born in Japan to a Haitian-born father and Japanese mother and raised mainly in the United States, has won over the Japanese public with her self-effacing, deadpan manner as much as her sheer tennis talent. Glowing media reports called her a new heroine for Japan. Nissan joins a growing number of companies to sign her up for endorsements, such as Adidas AG, Yonex Co, Nissin Foods Co, Wowow Inc and Citizen Watch Co.
Having Osaka as a face of Nissan gives it an edge in appealing to younger drivers as it looks to boost sales of its Leaf all-battery electric car, and promote automated and connected-driving technologies. 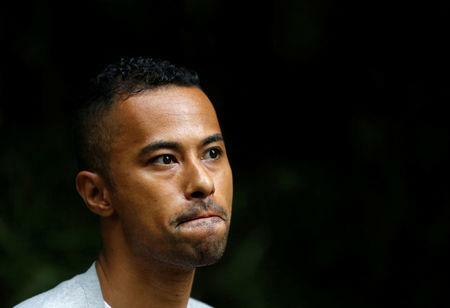 As a biracial Japanese, Osaka's leap into the limelight has brought hope to some "haafu," or half-Japanese, who have suffered discrimination and bullying in a largely ethnically homogenous country. 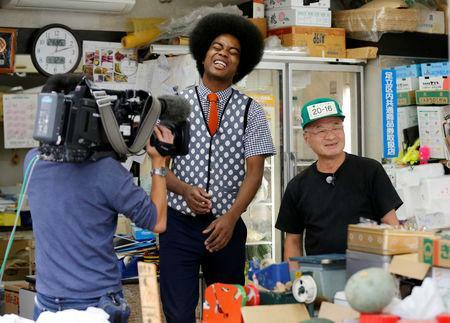 Jun Soejima, a black Japanese with an afro who appears on NHK's breakfast show, believes Osaka's fame and positive reputation can help create greater acceptance for Japanese of diverse backgrounds. "I think she can" help change social attitudes, said Soejima, whose father is African-American. "She's amazing ... just a wonderful woman and a human being." Soejima, 34, said he was bullied as a boy, with other children refusing to play with him. "I hated being different," he added. "I knew I was a different color, and I wished I could be the same." Although he does not experience much discrimination these days, he does still get stared at, he said, adding that he hoped the prejudice would eventually fade. "The fact that I’m now able to express myself on national television shows that the way of looking at people is changing." Japanese are becoming more comfortable with ethnic diversity as they interact with foreign tourists and the economy becomes more globalized. The emergence of other biracial athletes, such as baseball player Yu Darvish and sprinter Asuka Cambridge, has also helped build acceptance for those of diverse backgrounds. Joe Oliver, a 35-year-old black Japanese who works as an engineer and model, says that when he was young he was urinated on, burned with cigarette butts and called "an eyesore". "I think mixed raced people's success, such as Osaka's, can help to bring down the wall most Japanese have between people with different backgrounds," Oliver said. Osaka herself was not raised in Japan; she moved with her family to the United States at age 3 and has lived there since. Asked on Thursday how she felt about being a high-profile bi-racial athlete in Japan, Osaka said the question "really throws me off". "For me it's not something that I have to think about. For me it's just who I am," she said at the Nissan event. "I don't think I'm a mix of three whatever, I just think I am me."